The Zonta Club of Muntinlupa & Environs (ZCME) is holding its annual fundraising event on November 3 and 4, 2012 (Saturday and Sunday), from 8AM to 8PM at the Cuenca Covered Court in Ayala Alabang Village, Muntinlupa City. 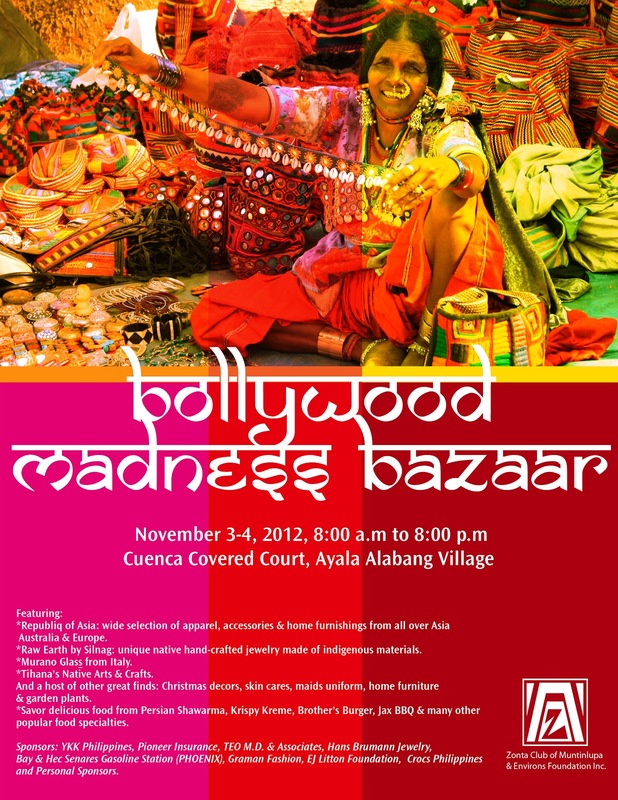 Featuring a festive Indian theme, the Bollywood Madness Bazaar is inspired by India’s vibrant colors, attractive ethnicity, exotic cuisine, and the global emergence of Bollywood movies. Come and let's support these cause through shopping at The Bollywood Madness Bazaar!